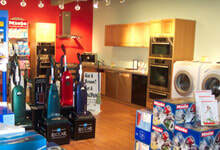 If you are in the market for central vacuum cleaners Marblehead MA area residents will find what they are looking for here. Since 1934, we have dedicated ourselves to offering the best in customer service and superior products for your residential and commercial needs. We have a wide variety of central vacuum cleaners and offer free estimates on central vacuum cleaner system installations. For your free estimate, contact our shop today at (781) 595-1455. Managed by a fourth-generation owner, North Shore Vacuum and Appliance strives to offer the quality service and products our customers have depended on for decades. So when it comes to central vacuum cleaners, Marblehead MA area residents can come to us to find what they are looking for, and more.